Looks like Fox is continuing to stir up trouble among the Browncoats. 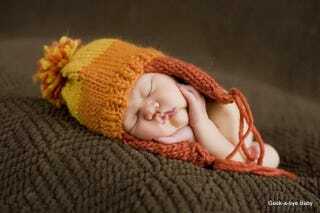 For years fans have happily donned their knitted tributes to Joss Whedon's falled series, the Jayne Hat. It's possibly the most popular piece of convention-goer flair. But it looks like it's about to get a lot harder to get a homemade Jayne hat, because Fox is attempting to shut down all rogue hat makers. According to Whedonesque, Fox has been sending out cease-and-desist letters or just outright demanding Etsy ban any non-sanctioned Jayne hats. This is after almost a decade of not giving a crap about any of this. This doesn't mean you can't make your own Jayne top, but you just can't sell it online. Blastr reached out to both Ripple Junction and Think Geek (where the licensed hats are sold) and both companies denied involvement in the shuttering of homespun Jayne Hats.